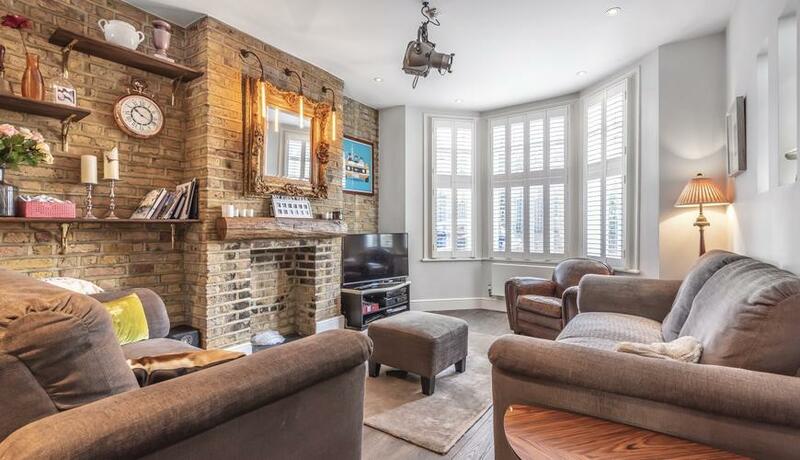 This beautifully presented family home offers a double reception with bay fronted windows leading onto a bright and large eat in kitchen with the exposed brick work feature throughout the right side wall on the ground floor, finishing at the enclosed rear garden. The first floor offers two double bedrooms and a single baby room/study along with a modern family bathroom with a separate bath and unique Turkish inspired shower. 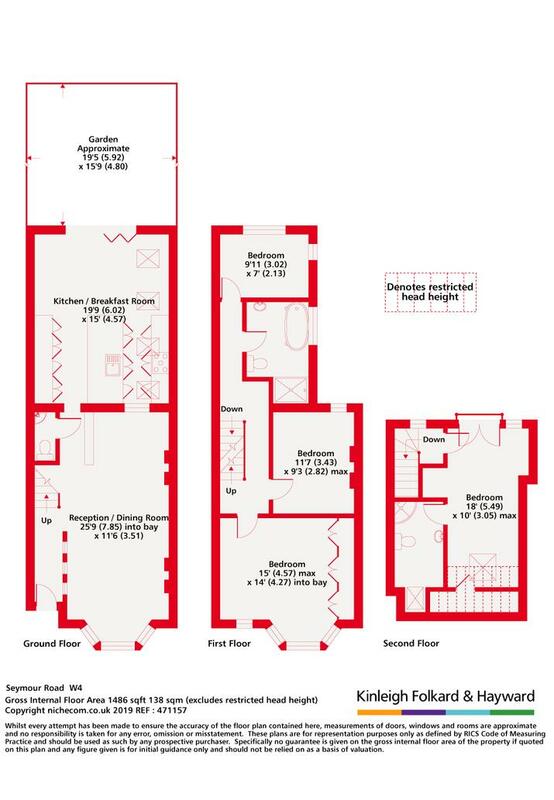 The second floor comprises a large bedroom with en suite shower room and eaves storage. The property benefits from under floor heating in the kitchen and bathrooms, surround sound system and offers natural light and storage throughout. Seymour Road is a residential no through road located in the heart of Chiswick with walking distance to all amenities including Chiswick Park Tube and High Road.